Hitler's Last Bodyguard Dies; Was With The Fuhrer In Bunker : The Two-Way Rochus Misch was 96. Throughout his life, he remained loyal to the man he called "the boss." Misch claimed he did not know about the scale of the crimes and atrocities committed by German Nazis. Rochus Misch, "Adolf Hitler's devoted bodyguard for most of World War II and the last remaining witness to the Nazi leader's final hours in his Berlin bunker," has died, The Associated Press reports. Misch was 96. He died Thursday in Germany. In a 2005 interview with the AP, Misch "stayed away from the central questions of guilt and responsibility, saying he knew nothing of the murder of 6 million Jews and that Hitler never brought up the Final Solution in his presence. 'That was never a topic,' he said emphatically. 'Never.' "
Rochus Misch, one of Adolf Hitler's bodyguards, in 1944. He died Thursday in Germany at the age of 96. "I knew about Dachau camp and about concentration camps in general. ... But I had no idea of the scale. It wasn't part of our conversations. The Nuremberg Trial dealt with crimes committed by the Germans. But you must remember there was never a war when crimes weren't committed, and there never will be." 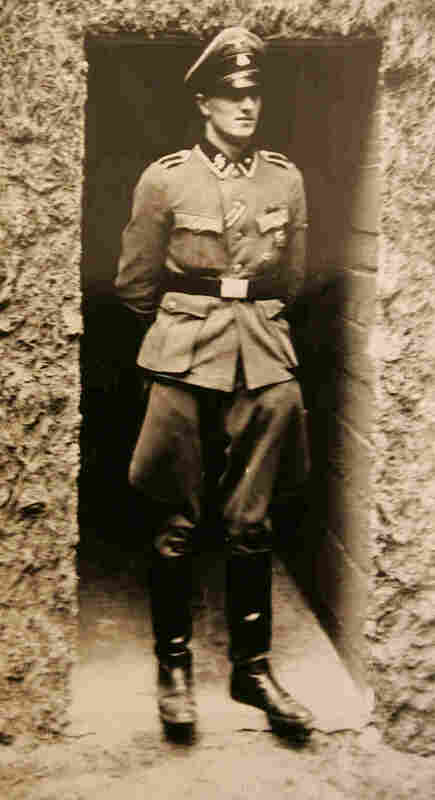 "Misch and SS comrade Johannes Hentschel accompanied Hitler almost everywhere he went, including his Alpine retreat in Berchtesgaden and his forward 'Wolf's Lair' headquarters. He lived between Hitler's apartments in the New Reich Chancellery and the home in a working-class Berlin neighborhood that he kept until his death.
" 'He was a wonderful boss,' Misch said. 'I lived with him for five years. We were the closest people who worked with him ... we were always there. Hitler was never without us day and night.' "
Misch saw the fuhrer's body on April 30, 1945, after the Nazi leader and Eva Braun committed suicide in the Berlin bunker where they had been living as Allied troops drew closer. He watched as others carried Hitler's body out to be burned. "They walked by me about three or four meters away, I saw his shoes sticking outside the sack," Misch told the AP. Misch was able to flee the bunker three days later. He later spent nine years in a Soviet prisoner of war camp, before being allowed to return to Berlin. As the International Business Times says, Misch "remained loyal to the Fuhrer ... affectionately referring to Hitler as 'boss.' In [the AP] interview in 2005, he remained unapologetic about his relationship with most reviled man of the 20th century. 'He was no brute. He was no monster. He was no superman,' Misch said." The AP adds that "in the forward to the English-language version of his book, The Last Witness -- due for publication in October — [Misch] wrote that it was a different 'reality' then and he never asked questions during what he considered just his 'regular day at work.' "